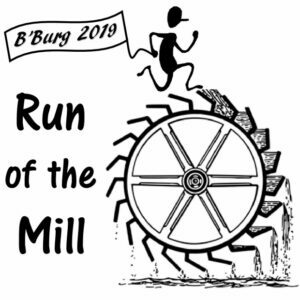 Join us on Saturday, April 13 for the Brownsburg Community Association’s Second Annual ‘Run of the Mill’ 5k, a point-to-point road race, jog or walk from Brownsburg to historic Wade’s Mill. The Run of the Mill 5k follows a point-to-point course over slightly hilly terrain through beautiful farmland, crossing several creeks and finishing at Wade’s Mill. Registration starts at 8:30 a.m. at Asbury Church in Brownsburg. Race starts at 10 a.m. The top three female and male finishers receive prizes. The top three finishers in each age group receive medals. Awards and activities will take place at the Finish Line. A shuttle bus will return runners to Brownsburg from Wade’s Mill. Pre-registration includes an iconic “Run of the Mill” t-shirt. Pre-registration must be received by March 31. After March 31, registration is only available on race day for $25. Proceeds support the BCA’s local scholarship fund and community projects.